As the name conjures up, EcoSmart’s Lighthouse Series provides a clear and mesmerising light – perfect for illuminating outdoor areas and providing a stunning focal point for any alfresco location. 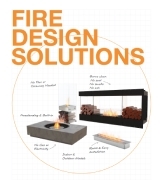 The cylindrical fireplace design ensures the flame can be easily seen and enjoyed. Made with weatherproof materials including toughened glass and classic concreate composite, the lighthouse fires are created for myriad purposes – lighting up a space, creating a design statement or spectacular entrance feature, and enhancing the warmth and ambience of all types of outdoor – or indoor – rooms’. Fuelled by readily available, clean-burning, environmentally friendly bioethanol. 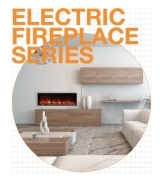 The Lighthouse series of freestanding fireplaces are striking either by themselves or as a series. 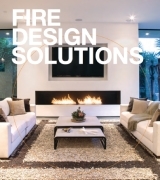 The fires don’t have to sit permanently in one place; they can be easily moved. The Lighthouse fires features an efficient AB3 ethanol burner, which burns for up to 11 hours. Available in Natural, Bone, Graphite or Rust these models will blend in perfectly with any decor. 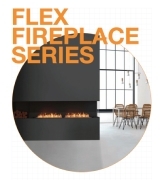 Compact but robust fire that perfectly adorns a benchtop or table. Elegant lines and flickering flame behind toughened glass help bring a space to life. Perfectly styled to make an entrance statement or illuminate an alfresco space. Tallest of the series, setting the scene is the hallmark of this elegant fire.